California University of Science and Medicine's School of Medicine announced Tuesday that it received preliminary accreditation this week from the Liaison Committee on Medical Education, allowing the new school to begin accepting students for its August opening. The school, located in San Bernardino County, Calif., was funded in large part by the Prime Healthcare Foundation, the not-for-profit affiliate of for-profit health system Prime Healthcare Services. 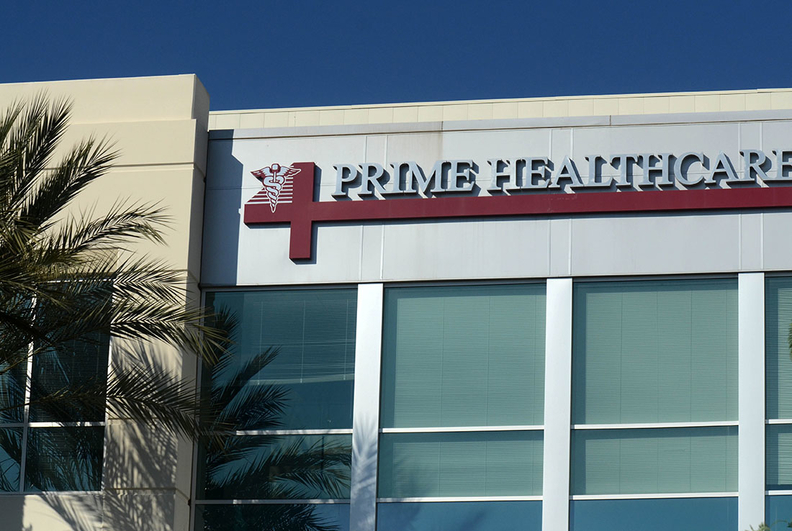 Dr. Prem Reddy, Prime's founder, chairman and CEO, has committed more than $60 million toward the new school through the Prime Healthcare Foundation and his own family foundation, according to a news release. The San Bernardino County Board contributed $10 million to the school. The medical school will be affiliated with Arrowhead Regional Medical Center, San Bernardino's county-operated hospital, so students will receive some training there. Reddy said in a news release that he hopes the school will help address a shortage of physicians as well as improve health disparities in local communities. San Bernardino is one of the most economically challenged counties in Southern California. The school's curriculum will focus on encouraging students to practice in undeserved areas, according to the news release. "It has been a dream come true to establish a medical school sincerely believing that education and healthcare can profoundly improve the lives of others," Reddy said in a statement. Prime Healthcare has been in hot water in recent years. The Ontario, Calif.-based system was sued in 2016 by the Department of Justice for Medicare fraud. The federal government accused the system of billing Medicare for beneficiaries admitted as inpatients when they should have been treated as outpatients. The preliminary accreditation allows the California University of Science and Medicine to begin accepting students. The institution still needs to receive provisional accreditation and full accreditation from the Liaison Committee on Medical Education as part of its multi-step process. The Liaison Committee is the federally recognized accrediting body for medical programs in the U.S. It's jointly sponsored by the Association of American Medical Colleges and the American Medical Association. Prime Healthcare is one of a growing number of health systems investing in medical education. Last week, Hackensack Meridian Health announced its New Jersey-based medical school received preliminary accreditation from the LCME. Kaiser Permanente plans to open a medical school in fall 2019 and Geisinger Health System acquired Commonwealth Medical College in Scranton, Pa., in 2016. The providers often cite opening a medical school as an opportunity to build a pipeline of new doctors.